A disability doesn’t have to stand in the way of you enjoying one of the great features of our country—our awe-inspiring network of more than 2,000 national parks and federal recreational lands. 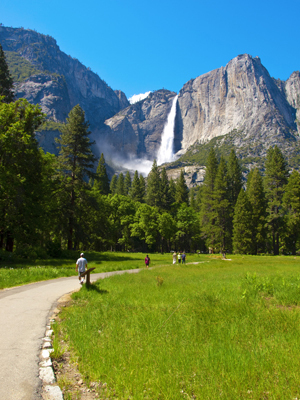 In addition to making trails and facilities more accessible to those with disabilities, the national park system offers a free lifetime pass to U.S. citizens and permanent residents with physical, mental or sensory impairment. The free admission also extends to everyone in a vehicle with the pass holder. If one person in a family qualifies, the whole family can visit for free. You can get your free pass at a federal recreation site or office. You can also get the pass online through store.usgs.gov/access-pass or by mail, however there is a $10 application processing fee for mail applications.